the Hedgehog! There are 6 Characters on each side: Sonic as the King with Amy being his Queen, Knuckles is representing the Knight, while Tails will be the Bishop. 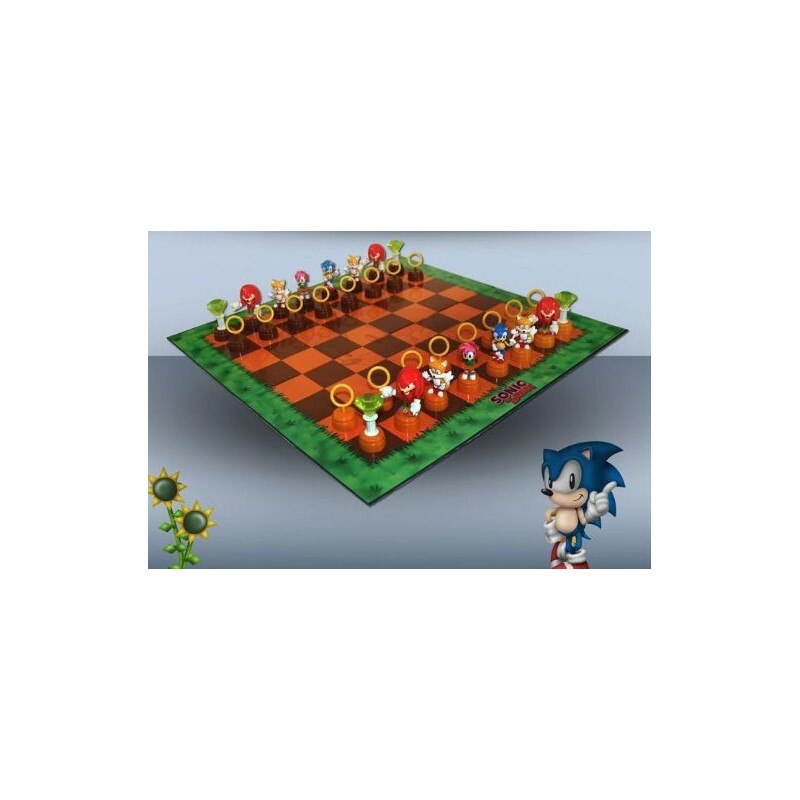 The Rook is pictured as the Master Emerald and the ever-present Rings are your pawns. The Game includes 32 figures, each is sculpted to perfection and hand painted. 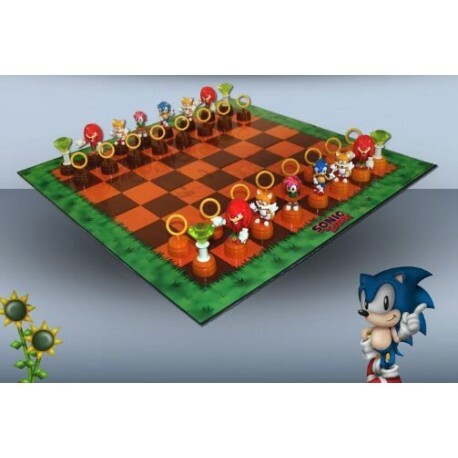 Chessboard is 47cm x 47cm in size. This product is a boardgame as much as it is a collectible for fans of the videogame. Ships in a nicely designed gift box with window to see some of the figures.